MENS There are 85 products. 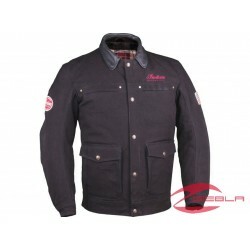 Truly a classic, this Indian Motorcycle® Classic Jacket delivers reliable protection, outstanding comfort and incredible style perfect for riding anywhere. The leather shell and removable armor provide trusted protection and the lightweight zip-in/out liner offers versatile multi-season comfort. Vintage and proud. This comfortable black T-shirt features a distressed Indian Motorcycle® logo across the front for a classic vintage look. Vintage and proud. This comfortable brown T-shirt features a distressed Indian Motorcycle® logo across the front for a classic vintage look. Vintage and proud. This comfortable cream T-shirt features a distressed Indian Motorcycle® logo across the front for a classic vintage look. A heavyweight garment with pullover comfort. Nothing matches the feeling of this hoodie on or off the bike. Feel like part of the legendary Crew. 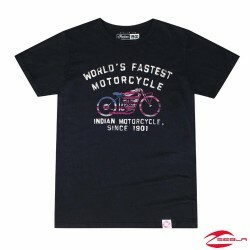 This black T-shirt with contrasting sleeve stripes features graphics honoring the Indian Wrecking Crew race team. This comfortable tee is ideal for Indian Motorcycle® purists. Show everyone what your bike runs on with this comfortable tee featuring the powerful new Thunder Stroke™ 111 engine. These deerskin gloves are naturally soft and supple, providing excellent dexterity. 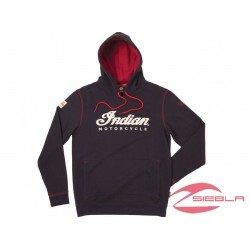 Enjoy them for years with subtle Indian branding as reminders of your choice in motorcycles. Perfect for carrying both road and city. 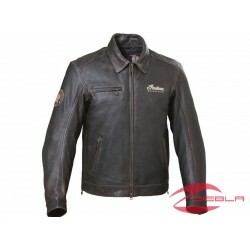 This comfortable jacket fabric is characterized by its light lining, your removable protection and supreme protection offered. Only Indian Motorcycle® could deliver this fresh take on a classic leather vest. 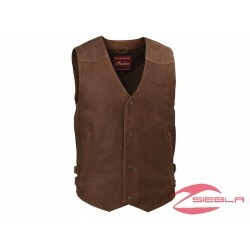 This Indian Brown Leather Vest features a snap front, convenient pockets, adjustable side straps, and Indian Motorcycle® branding.